I posted a bit about my family history on this blog last month after discovering that I had pirates numbered among others in my historical family's past. Finding it interesting, I decided to embark on a historical novel set in the time and place with various and sundry rogues featured in it. After all, the research necessary to ferret out details of family history can be grist for a rousing good story. Every story has a beginning and this one starts in early 1685 with a sharing of loot. And in 1685, Patrick Quidley, a young, adventurous man backed by family money has set out to be a privateer and pirate. Bouncing ahead, he will meet his demise at the hands of the British Admiralty as recorded in the book, "The Admiralty Sessions, 1536-1834: Maritime Crime and the Silver Oar". However, there will be a lot happening in the story between 1685 and 1694. For one, Quidley will transport members of his family to Hatteras Island, where a colony already exists primarily dedicated to providing support to pirates who raid the Carolina coast and into the Caribbean. Blackbeard prowled those waters and he will have a part to play later in the story. In 1685, Edward Teach (Blackbeard-the-Pirate) is a mere five years old...another year or two and he can be mustered as a ship's boy and serve with a crew, learning the ropes (literally)... and what better place to learn than on the Gull? Historically, Blackbeard fights his last battle on Ocracoke Island, near Hatteras, on the curtilage of Quidley's land. Lancing the boil has brought the sorts of issues that one inevitably faces in matters of cause-and-effect. For now, the downside to a tacit approbation of piracy on the high seas has been set aside in favor of its tangible rewards. The private meeting is presided over by John Beaumont, Lord Warden of the Cinque Ports and Constable of Dover Castle. The forty-nine year old Beaumont will stand for election to Parliament later in the year and he will be raised to a lieutenant colonelcy in Our Holland Regiment (the 4th Regiment). Both of these achievements will require more money that he has on hand as of January 10th, which is why he agreed to meet with young, aggressive, impatient Captain Patrick Quidley and his uncle, Squire David Quidley, late in the season the preceding year of Our Lord, 1684 and in so doing, he became the third member of the conspiracy. Both Quidleys are high commoners and prominent men within the family that has prospered in building, drydockage and repairs to shipping in the ports that the Lord Warden oversees. John Beaumont is the royal tax collector who sees to the franchises, liberties, customs and usages of the ports and gathers such as is owed to the crown, taking a salary for himself. Unfortunately, Beaumont’s taste for the gaming table and wooing other men’s wives has been his undoing and he took liberties with the Royal Exchequer. At the beginning of the new year, after the Feast of the Epiphany, he will be required to settle financial matters with the Charles II’s factotums. Though he does not know it today, Beaumont will be favored after the King dies in twenty-seven days by his successor James II, who will need all the friends he can get. But that is still a month in the future. 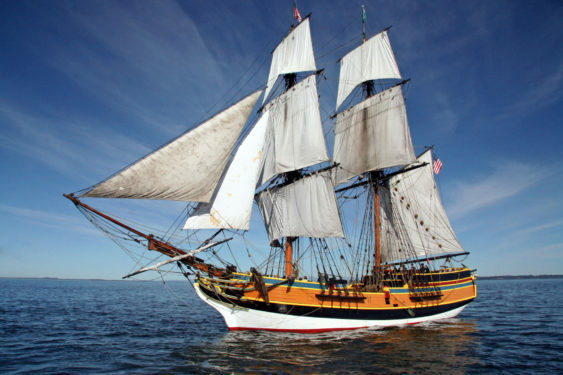 Outfitting the privateer Gull, a brigantine of ten guns and two swivels, required a significant investment. The funds have been raised by offering shares to interested members of the family with ten percent ownership gifted to the Lord Warden in exchange for a letter of marque of dubious legal standing. Today the shareholders have gathered to count the return on the first voyage of the Gull. The hum of conversation between two dozen Quidleys diminishes as the Lord Warden, flanked by four Hollanders in uniform, carrying snaphaunce muskets takes the dias. “His honor, Constable John Beaumont.” The sergeant of the guard announces, quieting the meeting without threat of malice. John Beaumont is a tall man with sly, dark, eyes who has grown soft in the middle. He’s chosen to wear his honorary Admiral’s uniform today, but still looks every bit the profiteer. He smiles broadly with his brown, rotting teeth and dismisses the guard, who follow Captain Patrick Quidley from St. James through a side door that leads to the graveyard. No sooner is the toast downed by the thirsty Quidleys than Captain Patrick Quidley returns into the church, flanked by the musketeers and by seamen, also armed with muskets. A stout cart is wheeled in with a chest on it. The cart is pushed to the front of the church and is opened. It’s filled with gold and silver plate, gold dubloons, pieces of eight and religious articles of gold and precious stones. The Quidley family are all aware of the haul from the Portuguese galleon, San Jose de Padre of twenty brass guns, which their most esteemed cousin, Patrick, took at sea in the Brigantine Gull. San Jose de Padre enroute Lisbon, carrying His Eminence, Antonio Brandao, Archbishop of Goa on his way home following his term in office, blundered into the path of the Gull. God had clearly taken a holiday where the fate of the Archbishop was concerned. Quidley lay in wait in the passage between the Canary Islands and the coast of Morocco, which was hardly an original place to ambush a slow, heavy ship beating up the coast against the wind. The lumbering Portuguese galleon, badly in need of careening, managed one broadside against the Gull only to have four of its brass guns explode due possibly to wear and poor handling. Looking at twenty dead and bleeding gunners took the fight out of the others, now concerned for themselves. The Gull, with fresh canvas and a new, smooth hull, danced around her and swept her decks with grapeshot, killing the captain and the Archbishop. The first lieutenant raised the flag of the Holy See. Gull raised the black flag and the lieutenant struck his colors. It would have been less of a problem if England and Portugal had been at war. As fate would have it, 1684 was one of the few years that England was not at war with anyone and neither was Portugal. In fact, they had been allied through the marriage of Catherine of Braganza and Charles II, and that made Quidley’s choice of a Portuguese galleon a dangerous one. In his defense, Captain Quidley said that he hadn’t known of a certainty that the ship was Portuguese until they boarded her, found the body of the Archbishop and confronted the terrified crew. Under other circumstances, the San Jose de Padre might have been taken as a prize of war. As it was, there wasn’t much to do but salvage what they could, maroon surviving members of the crew and half a dozen priests on La Gomera Island in the Canary Chain and scuttle the San Jose de Padre. In addition to the Archbishop’s personal fortune, the ship’s cargo consisted of 230 bolts of silk fabric, 84 casks of saltpeter, 30 casks of opium, 45 casks of indigo, and 70 hogsheads of wine and 100 of brandy. 12 puncheons of a better grade of brandy bore the archbishop's seal. The gold and silver delivered at the meeting in the church account for over half of the value of the take, estimated at £35,000. Subtracting the £9,800 cost of the sturdy Gull, it left £24,800 to be distributed of which £3,000 went directly into the pocket of John Beaumont, the King’s Warden and associated bribes amounting to an additional £400. The Quidleys were thrilled with their investment and Patrick was toasted until he couldn't not stand. A lesser man, with command of a regiment of foot at his fingertips might have thought to seize the treasure in the Church of St. James that very day but the plain truth is that the pirate crew were better armed, more numerous, and there would have been a lot of explaining for the Warden to do. Following the division of treasure including shares given to the crew of the Gull, there present to oversee the transaction, the Quidley family disburses back to their homes, the Warden takes his gold down a narrow, cobbled road, then across the courtyard to Dover Castle and the matter rests for the moment. Everyone is rich and content. What could go wrong?